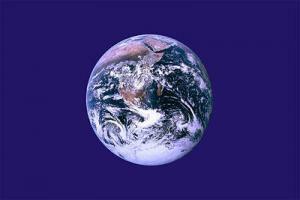 On Earth Day, we all bow our heads to this fantastic planet we all call home. Sure, the old saying “Make Earth Day Every Day” rings true, however a designated day to plant the seeds of how to do that is so important too. Did you know that by using vapor cigarettes instead of traditional tobacco cigarettes, you are doing the more eco friendly thing? And, if you do so every day that isn’t Earth Day, you are helping to do your part to honor the Earth every day! So, without getting too philosophical, here are some of the awesome ways e-cigarettes are the better choice for the earth. Taking better care of the planet starts with us! -Less trash = less waste in landfills (and elsewhere). E-Cigarettes are reusable, not disposable like traditional cigarettes. They go a lot longer, and do not get placed in the trash constantly on a daily basis. -Tobacco is grown in some of the least environmentally friendly conditions. Radioactive fertilizers, toxic pesticides, and other unpleasant chemicals go into growing it for mass consumption; do you really want to smoke that? -Did you know that cigarette butts are the world’s most polluted item? By not smoking them, you are not contributing to that problem, nor are you participating in such pollution. -By choosing electronic alternatives, you are not supporting the tobacco industry, which as you know, is not good for the planet. Simply by vaping with e-cigarettes, instead of smoking cigarettes, you are choosing the better option for the planet. If you still smoke traditional cigarettes, and are inspired to try an alternative to tobacco, we suggest one of our e-cigarette starter kits. Earth Day should be every day, however Earth Day is a fantastic reminder for the rest of the year. Let’s all celebrate today knowing we’re doing our small part, at least in one way to respect our beautiful Earth by choosing the cleaner, greener, better alternative to traditional cigarettes!